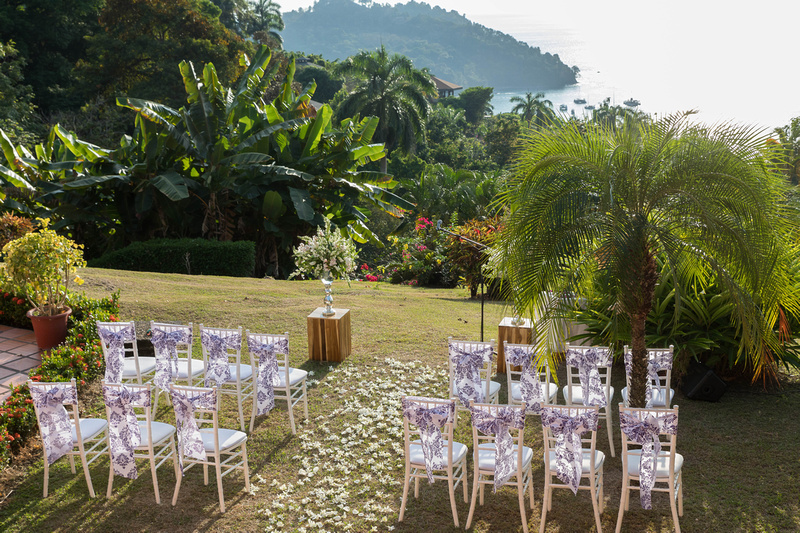 Villa Pelicano in Manuel Antonio was the perfect setting for Ingrid & Sean’s wedding. The day was perfect and the sunset was spectacular. 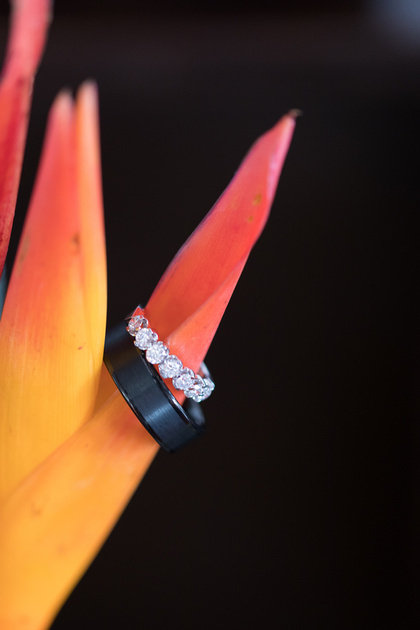 Ingrid and Sean met at work and opted for a tropical wedding in Manuel Antonio. 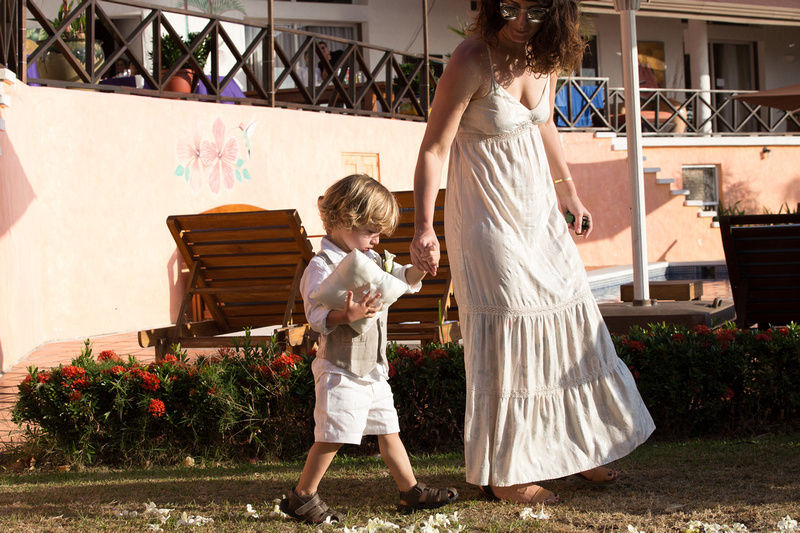 Their entire family came and spent the week at Villa Pelicano. 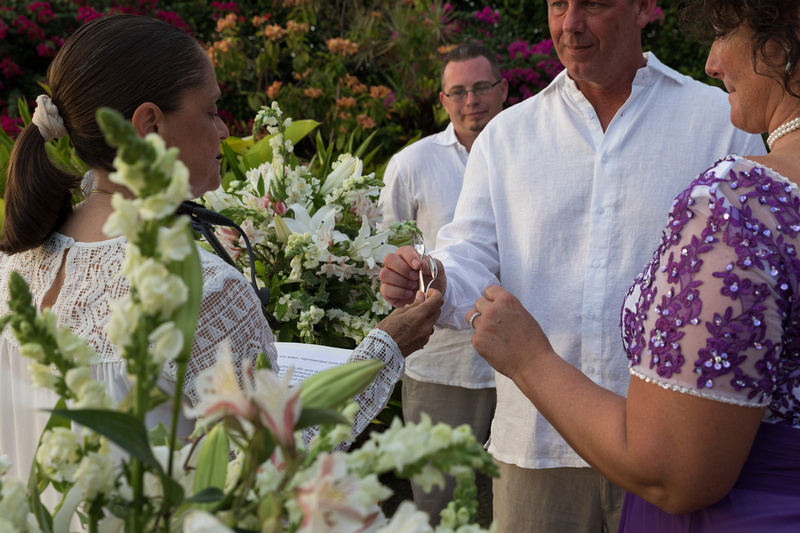 The ceremony in the garden was intimate with and the backdrop was a splendid view of the ocean. 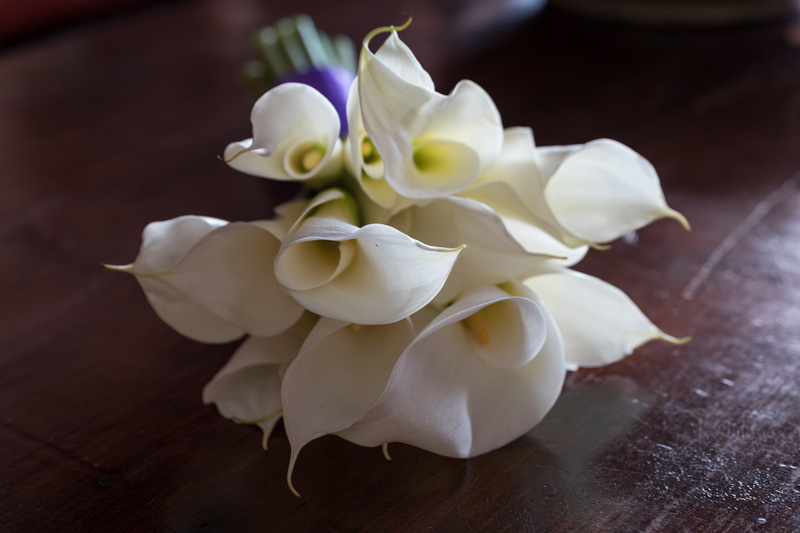 The couple walked down the aisle proceeded by the ring bearer who was a nephew. This was truly a family affair. 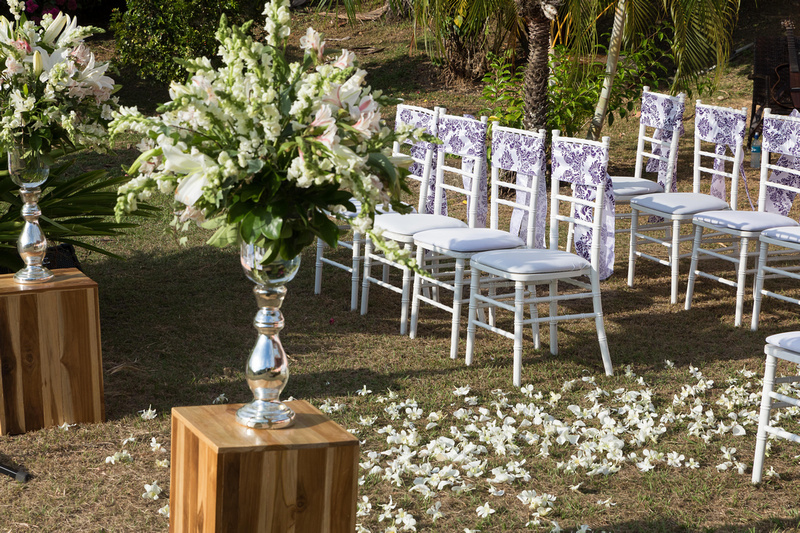 The flowers and petals were white and the chair covers added a touch of purple that was seen throughout the day. Everyone enjoyed the music played by the guitar duo. 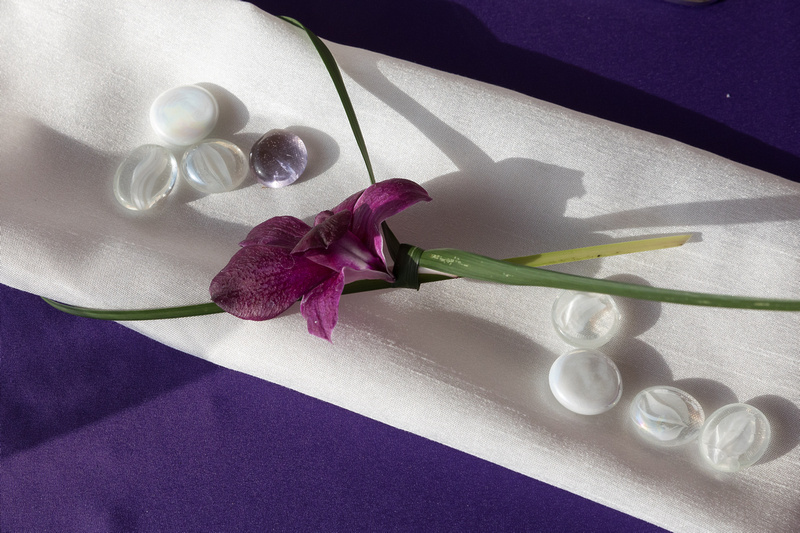 Yorbula Ceremony elements made this union special. This Nigerian ritual shows marriage as an occasion for family members to reunite and catch-up on current happenings. 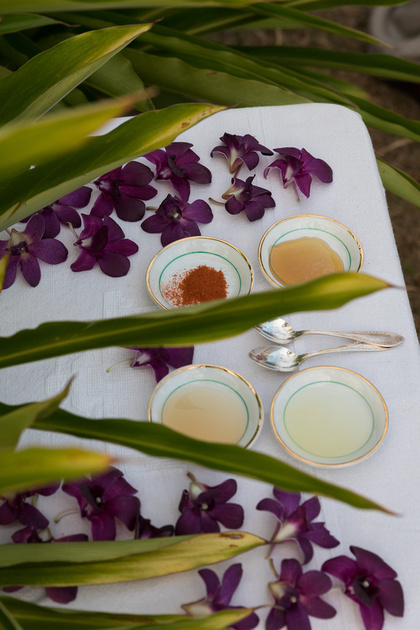 Ana our officiant included vinegar, honey, lemon and pepper in the ceremony. The gardens and the veranda provided the venue for the reception as well. Everyone stayed at the villa. 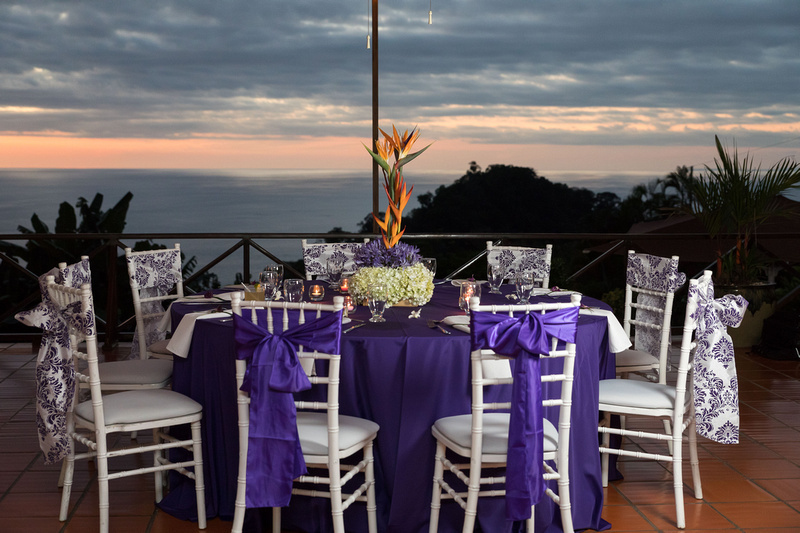 The decor sported tones of purple with tropical orange. 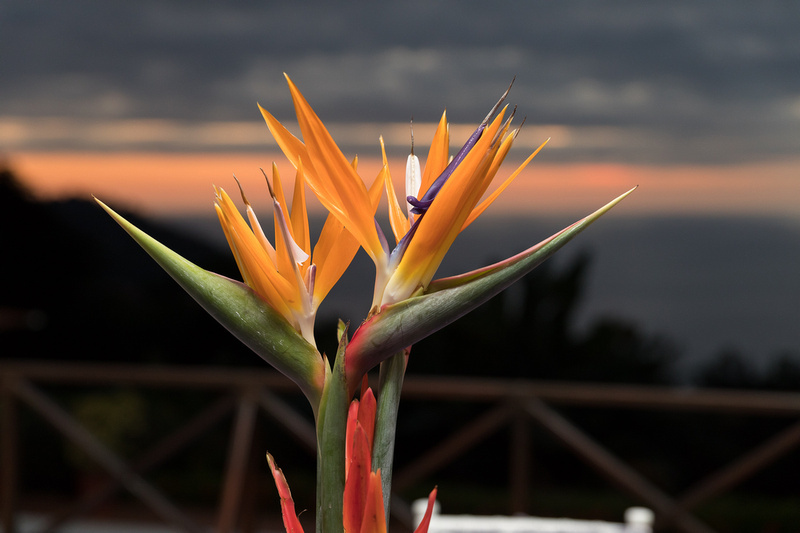 The bird of paradise centerpieces incorporated the tropical decor that Ingrid and Sean had imagined in their wedding vision. 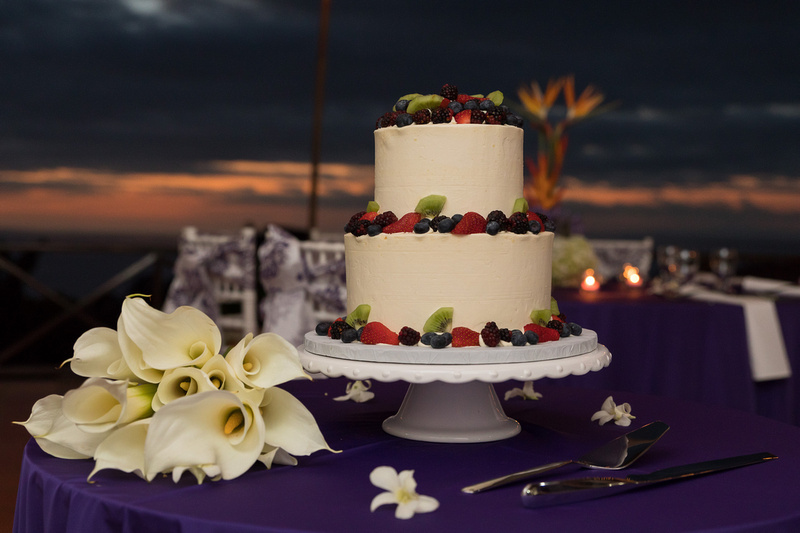 The butter cream iced cake had berries and everyone enjoyed the two flavors. Dinner was on the patio and overhead twinkle lighting added a special touch. What could be more perfect than the array of colors in the sunset over the ocean in Manuel Antonio. Thanks to John Williamson for capturing this special day for Ingid and Sean. 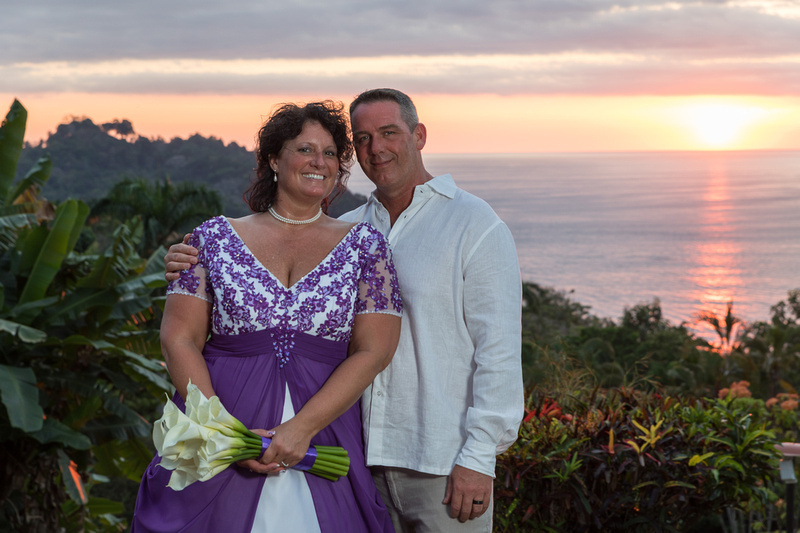 This entry was posted in Beach Wedding, Guitar Trio, Manuel Antonio Beach Wedding, outdoor beach wedding, Wedding Cakes, Wedding Ceremony, Wedding Flowers, Wedding in Costa Rica, Wedding Locations, Wedding Music, Yoruba Wedding Ceremony by Randy Gritz. Bookmark the permalink.